We supply a range of sampling equipment for drawing samples of Petroleum products and bulk liquids. Sampling cans are manufactured to various manual sampling standards. 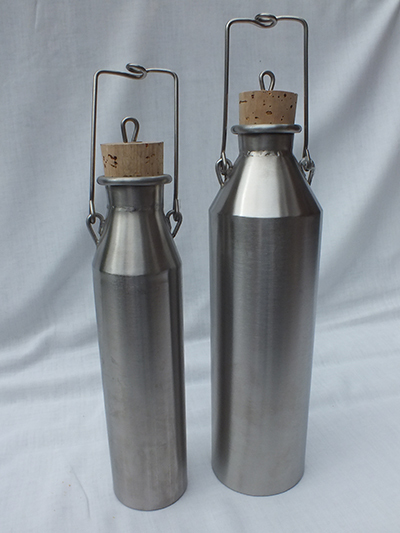 They are available in Stainless Steel, Copper, Tinned and 1/2 litre and 1 litre capacity. Stainless Steel Zone Samplers are used for the drawing of core or composite samples of bulk liquids. The design allows liquid to pass through the sampler until brought to a stationary position. Zone samplers are 12inches high and 3inches diameter, Capacity 800ml. The Zone Sampler is suitable for the sampling of Oils, Fats, Edible Food Products, Wines, Water, Petroleum Products and Chemicals. 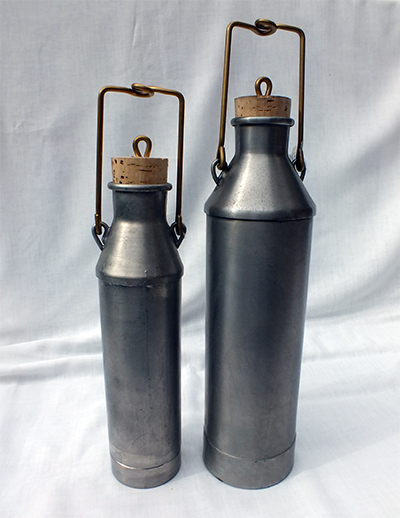 Stainless steel sampling can with a weighted base and stainless steel handle, and hooked cork, to enable the drawing of level samples. Copper sampling can with a weighted base and Brass handle, and hooked cork, to enable the drawing of level samples. Tinned sampling can with a weighted base and Brass handle, and hooked cork, to enable the drawing of level samples. Sample cord is supplied on reels of 100 metres. It is 5mm diameter and is a natural jute. Carriage is charged extra, at cost, on total order. Credit Terms: Net Monthly to Approved Accounts.